Last year I was lucky enough to be chosen as a Babyologist by Babies R Us, I got to review the lovely musical tea party. 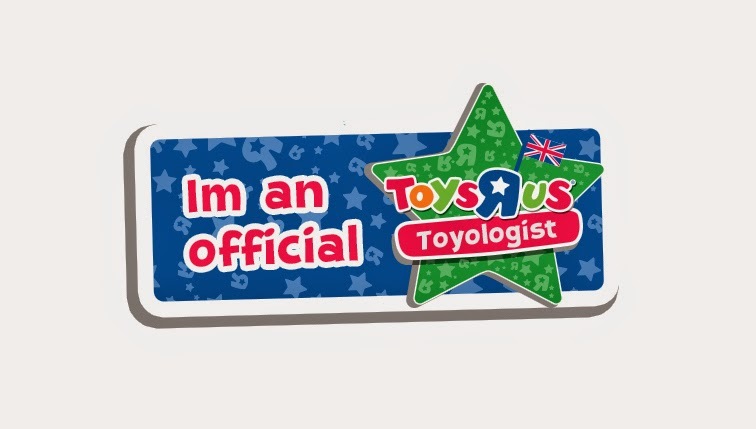 Turns out my luck was still in because last month I got an exciting email asking me to be a Toys R Us Toyologist of course my answer was yes. 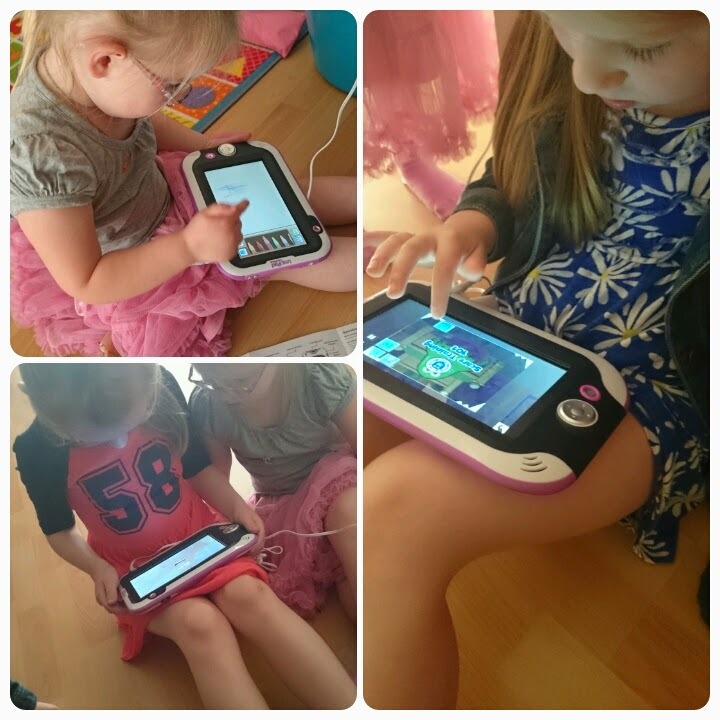 I was asked to review the LeapFrog LeapPad Ultra along with the Leapster Explorer Monsters University Software to play on it. Now my girls are always trying to play on my iPad so I knew before even receiving the item that they were going to love it. The LeapPad Ultra is available in pink and green, having all girls Toys R Us must have sensed that we would prefer the pink one. It comes complete with USB lead to connect to a computer, charger and instructions. It says on the box that it come with 11 custom apps, it actually comes with 10 including art studio and pet chat. The eleventh app is one that your child can choose themselves, they get to pick 1 of 3 games to download onto their LeapPad. The first thing that I noticed when taking it out of the box was how heavy it was compared to our iPad. The reason why is because it is built to be ultra tough, durable and drop tested so understand why. There were easy to follow steps on how to set up the LeapPad Ultra when I turned it on, it took around 15 minutes to make it ready for playing on. One of my favourite features is that you can set up separate profiles for each of children. LeapPad uses your childs date of birth to make each profile age appropriate. These profiles are also customisable with different backgrounds and pictures. Even better there is a parent profile on there, this means that you can keep an eye on just what your children are doing and achieving. The touch screen is said to have a feather-light response and I have to agree, even my youngest daughter was able to use it with ease. You can use the stylus provided or your finger to play the games etc. You can download apps straight to the LeapPad Ultra which include games and ebooks or you can choose to play game cartridges. The Monsters University game that we were given provided hours of fun. The cartridge simply slots in to the top of the LeapPad and you click on the Monster icon at the bottom of the screen for the game to start. What I liked was that they were learning whilst playing as there was plenty of problem solving and lots of clever thinking needed whilst enjoying the game. 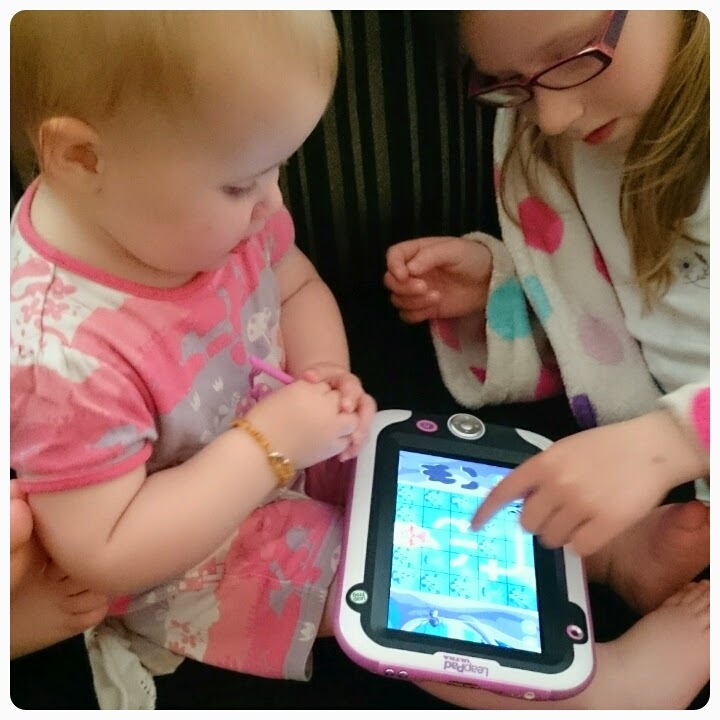 The verdict, we all really loved the LeapPad Ultra. Priced at £79.99, with its rechargable battery, it provides hours of fun and it was a great way to get my kids sharing and playing together nicely. I struggled to find anything negative to say about the LeapPad Ultra, the only thing which I think lets it down is the price of the apps and the game cartridges. With the cheapest apps costing around £3.50 and a lot of the came cartridges costing around £20, I found them to be quite expensive, especially the apps when you compare them to the apps which you can buy on a normal tablet. I wouldn't be able to afford to buy them all of the time at these sort of prices, these would have to be a treat. 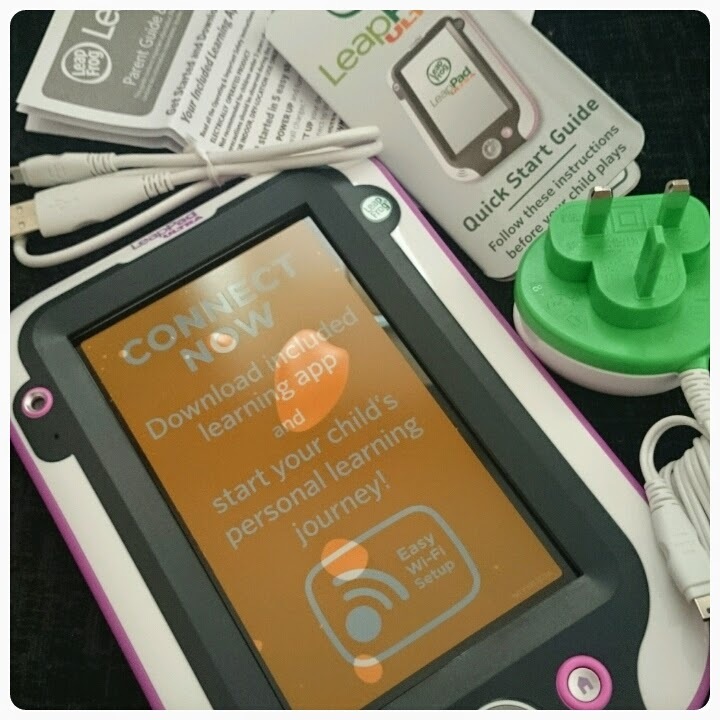 Overall another great product from LeapFrog that not only allows your child to have fun, it gets them learning whilst they play too. Disclaimer : I was sent the LeapPad Ultra free of charge for reviewing purposes however all thoughts and opinions are my own. I think my daughter would love this. It does look good and means she needn't be near my iPhone or PC! We haven't tried anything like this but I think I'd be inclined to just buy a tablet really - I can't see the point when you have to spend more on top?